All Elmo homes currently listed for sale in Elmo as of 04/19/2019 are shown below. You can change the search criteria at any time by pressing the 'Change Search' button below. If you have any questions or you would like more information about any Elmo homes for sale or other Elmo real estate, please contact us and one of our knowledgeable Elmo REALTORS® would be pleased to assist you. "This beautiful home has open concept kitchen with granite countertops and stainless steel appliances. 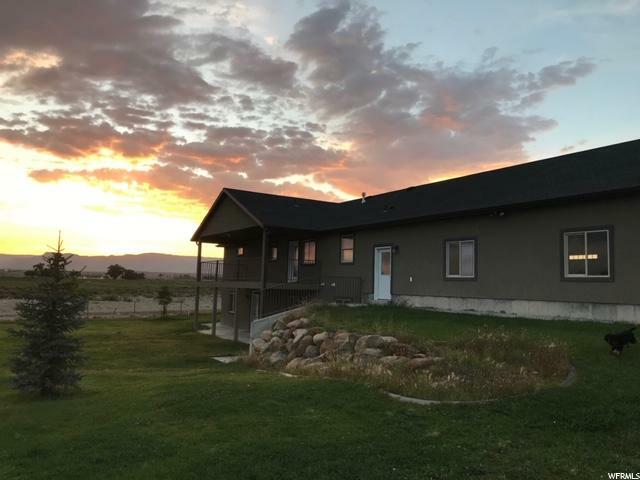 Deck to see for miles and enjoy the beautiful sunrises and sunsets in Elmo. Three car garage with fresh paint. Lots of storage and huge cold storage room. Large master bedroom with new paint and new carpeting. Huge master bathroom with granite countertops and separate soaking tub and dual head shower. Spacious family room with kitchenette and beautifully stained concrete floors. Large bedrooms with new carpet. Guest bathrooms with double sinks and granite. Walkout basement under covered deck with beautiful landscaped backyard. Large fenced pasture with pressurized secondary irrigation. Easy access to the San Rafael trails for all your outdoor adventures."